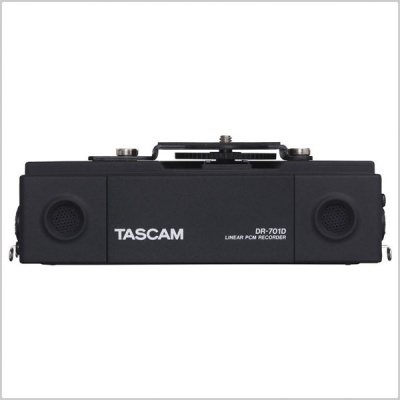 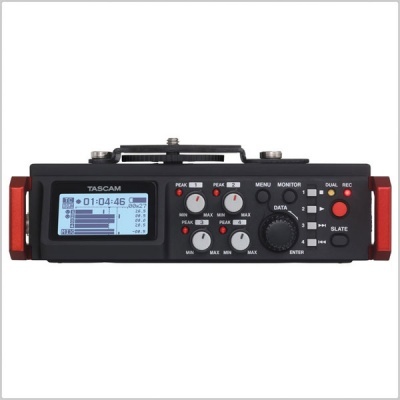 The DR-701D 6-Track Field Recorder from Tascam has been specifically designed as an audio recording solution for DSLR video applications and features dual built-in omnidirectional microphones, four XLR/TRS inputs with phantom power and is capable of recording up to 6 tracks simultaneously. 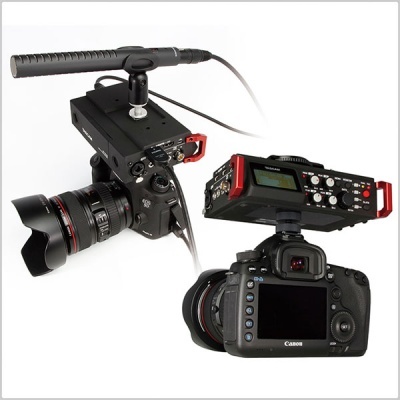 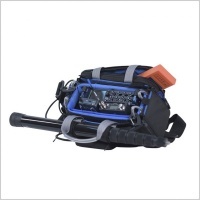 It supports a variety of mounting configurations, featuring a 1/4"-20 thread on the bottom for tripod mounting, as well as a removable camera or cage system attachment bracket with a 1/4"-20 screw. 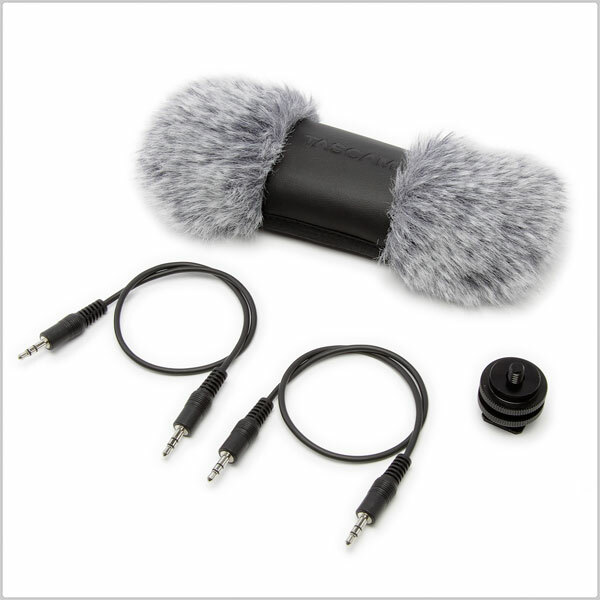 The DR-701D features a rugged build quality yet weighs less than a pound & a half including the 4 AA batteries that power it. 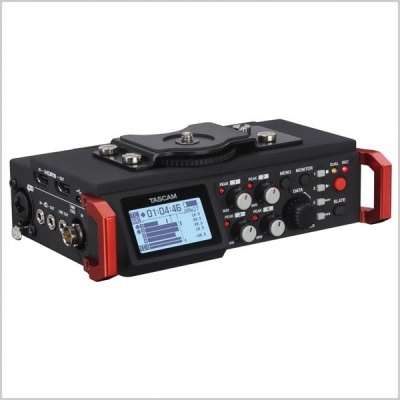 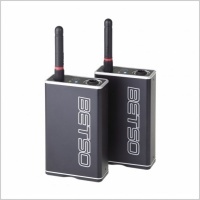 Battery life depends on usage, but with 4 lithium batteries, internal clock, and phantom power on two inputs, the unit is designed to record for over 5 hours at 16-bit/48kHz. 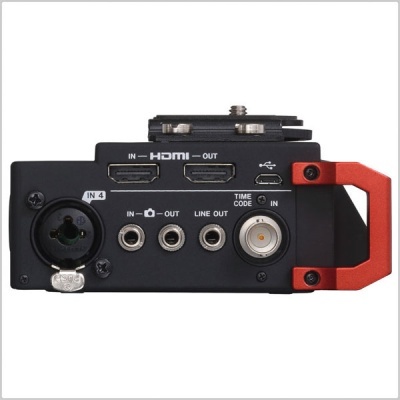 The unit can also be powered using the optional PS-P515U AC adapter. 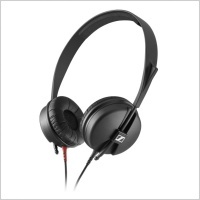 Audio is recorded to SD, SDHC, or SDXC cards up to 128 GB and can be recorded at resolutions of up to 24-bit, 192kHz. 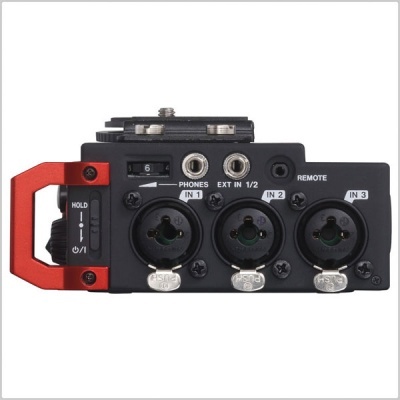 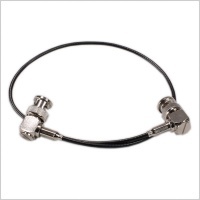 In addition to the four XLR/TRS inputs, a 3.5mm stereo mini-jack input with optional plug-in power is provided for connecting an external stereo mic. 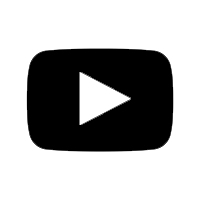 Box Dimensions (LxWxH) 9.9 x 7.2 x 4.2"